- If you perform Umrah last Islamic year and now you want to perform Umrah again, You can perform it with out paying Umrah visa fee. 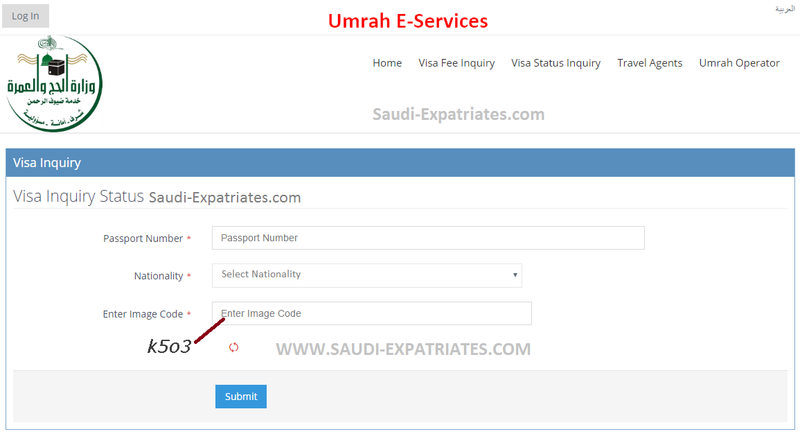 You can also check the Umrah visa fee applicable for you by using your passport number. 1. Follow the link of Government E-services Haj portal "Eservices.Haj.Gov.sa"
2. Enter your "Passport Number", Then select your "Nationality" country, Now enter the image code shown just below the box and then "Submit". - If you did not perform Umrah for the current Islamic year it will show you a message "Not required to make payment for Umrah Visa".